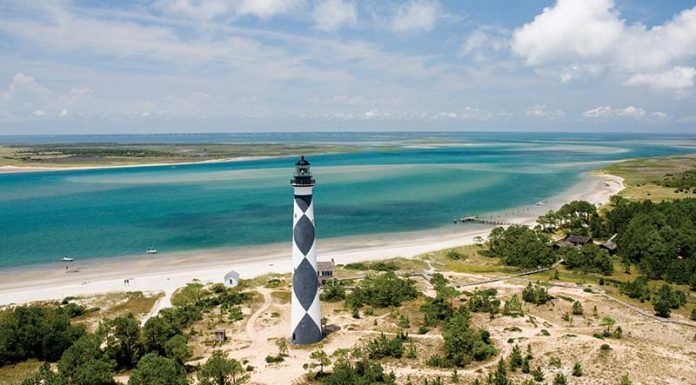 Spring is just around the corner, and with it comes new life, fresh growth, and plenty of ideas for refreshing your cottage-style space. 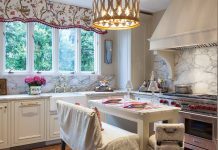 As the weather grows warm and bountiful blossoms pop up everywhere, sunny pastels and an abundance of fresh flowers can help bring the season’s vibrancy inside. 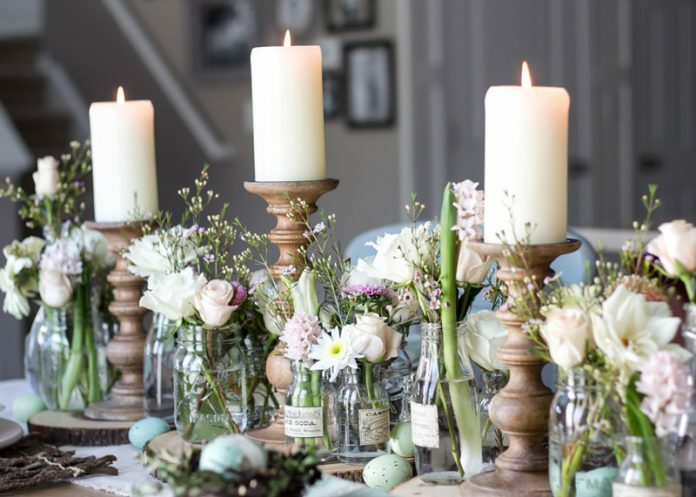 Cheerful floral arrangements, candy-colored eggs, and rustic table settings perfect for Easter dinner are ideal ways to let the joy of spring infuse every corner of your home. 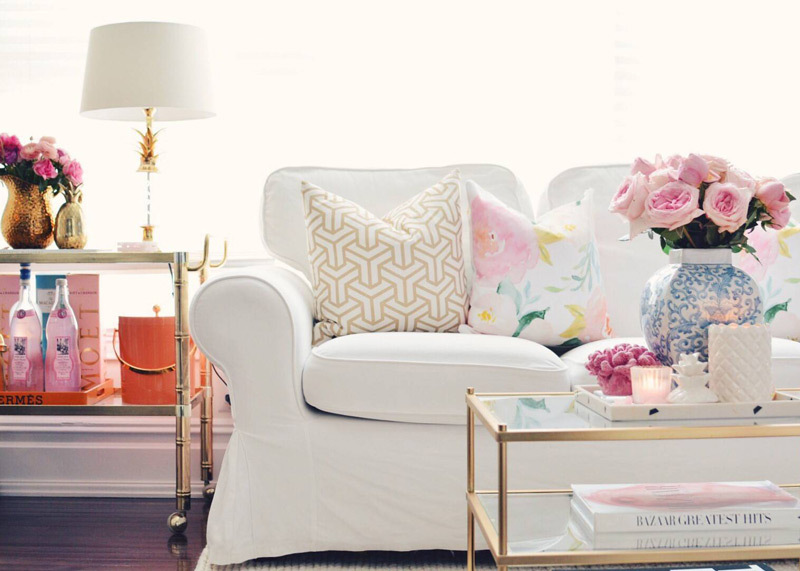 While the Easter Bunny is getting his baskets ready, let these 10 simple style ideas inspire you to fill your space with new life just in time for spring. 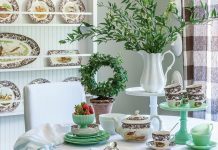 For more spring design and tips, make sure you have a copy of our new Spring 2019 Issue! 1. 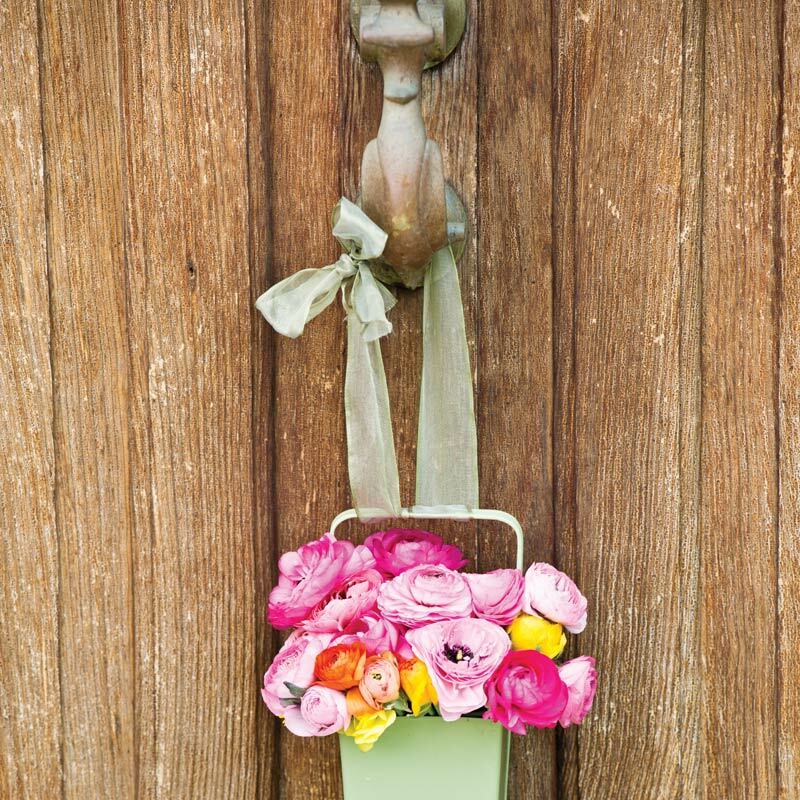 Let your guests know it’s spring before they even step inside. A vibrant arrangement can brighten your door and make everyone who crosses your threshold feel welcome and ready for Easter celebrations. 2. 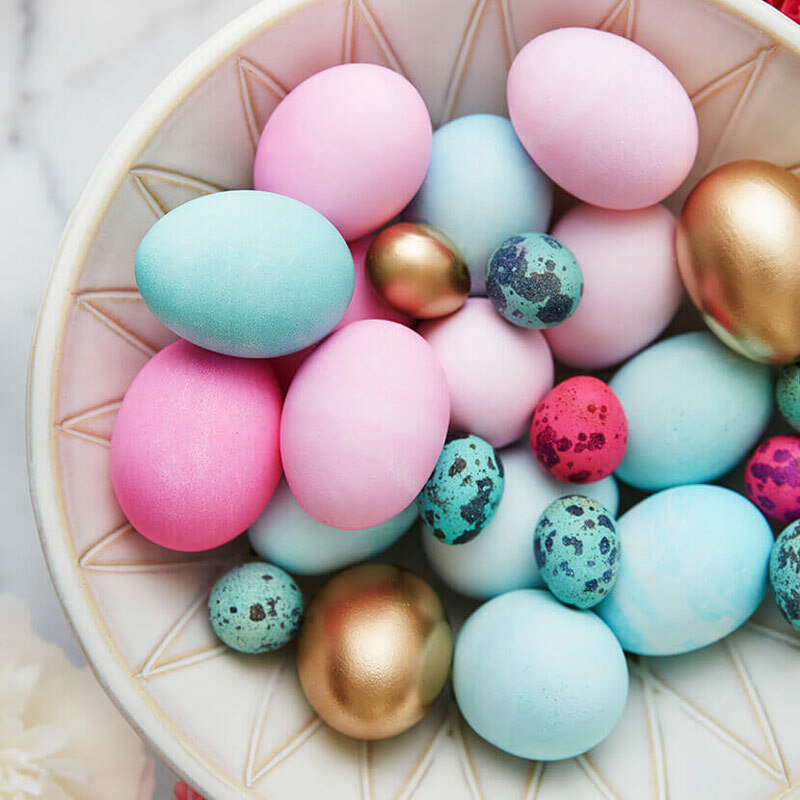 For a contemporary twist on traditional Easter decorations, accent simple pastel-dyed eggs with pops of modern style. Shimmering golds and richer, speckled hues pair perfectly with the Mid-Century lines of this display bowl. 3. 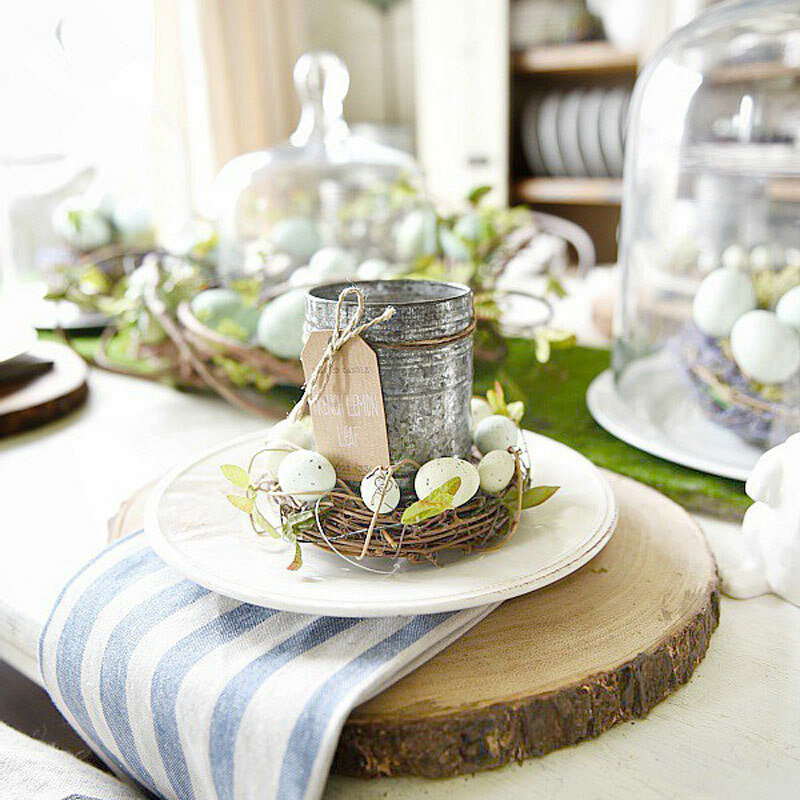 Ready for an Easter dinner packed with farmhouse style, this tablescape utilizes natural elements like wooden chargers and faux birds’ nests. Accented with galvanized tins and striped linens, this space is bursting with rustic springtime charm. 4. Complement your fresh-cut blooms with vibrant floral patterns that won’t fade with time. The watercolor print on these pillows is a calm splash of color among the serene white and cream shades of the room, drawing out the space’s soft pops of pink while keeping the warm breezes outside in mind. 5. 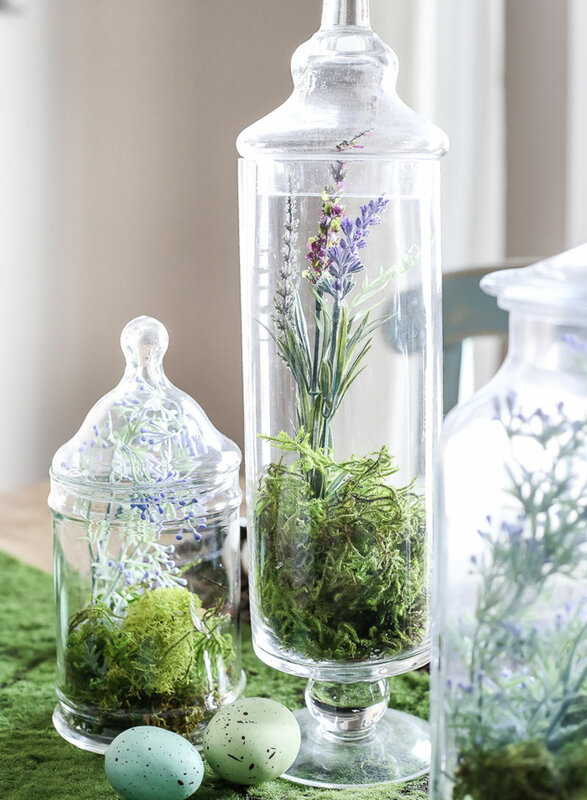 Terrariums brimming with flowers, moss, and other greens are perfect for bringing a bit of spring’s new growth into your home. Accented with decorative speckled eggs, these apothecary jars have varied heights and are a cheerful reminder of the changing weather outside.